To get this look, I white embossed onto watercolor paper a NBUS background stamp from MFT called Modern Mosaic. I then took various distress inks - trying to match the inspiration pic - and colored my "panes". Once it was dry, I cut the panel down and mounted it onto a black mat, then using foam tape onto a white card base. The sentiment is a combination of die-cut and white embossed. For the die-cut word, I lightly sponged some Picked Raspberry ink over it in an ombre fashion. And that's it! Thanks for visiting. Be sure to check out the post over at Time Out Challenges for more inspiration and I hope you have time to join us. Edited to Add: This card was featured at MFT's You've Been Spotted feature. So happy to have you as a guest designer over at Time Out! Your card is gorgeous. Love all the vibrant color blocks. Love your interpretation of the photo. Looks brilliant. Yay YOU!! Congrats, Karren, on your GD spot - well deserved!! This card is FABulous - looks like you've been playing cards with Sandy Allnock! fabulous take on the inspiration photo, karren!! congrats on your guest designer spot! As I already told you by email I really admire this card! 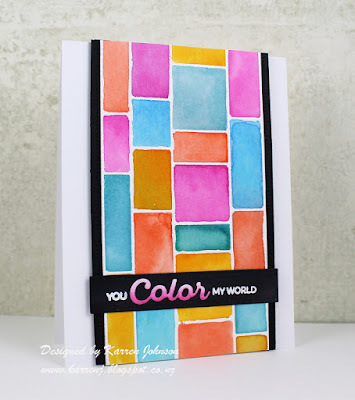 So great use of color and fun way to get an artsy look out of a geometric stamp. Love it! Thanks for being our gd at TIME OUT! Your card is stunning. Love your choice of colors, and the artsy feel of your water coloring. Thanks so much for being our guest designer at Time Out this week. Congrats on your GD spot! Your card is an awesome take on the photo! Love the modern, graphic feel for it! Congrats to the guest designer spot! Such a great take on the inspiration photo. 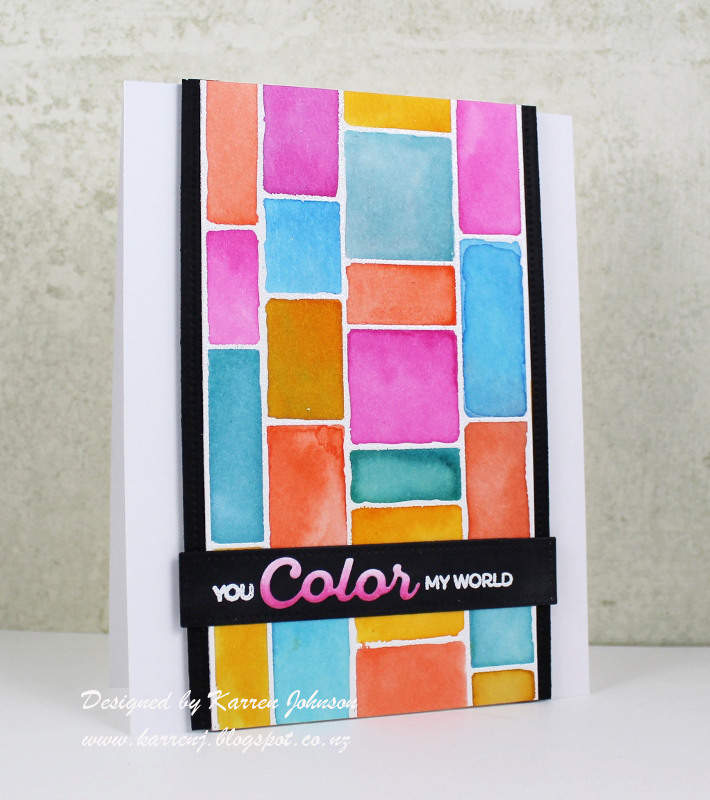 Congrats on your Guest Designer spot, Karren! This is such a pretty card! 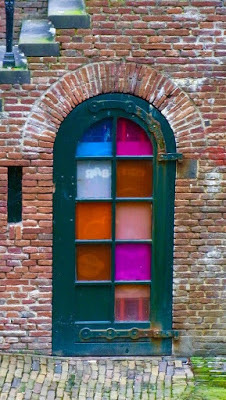 Looks like a lovely stained glass window, and it's such a fabulous take on the inspiration photo...Love it! Karen... GREAT USE of the new MFT cover plate... love how you used it...just brillant! This is absolutely gorgeous Karren and such cool inspiration from the photo. 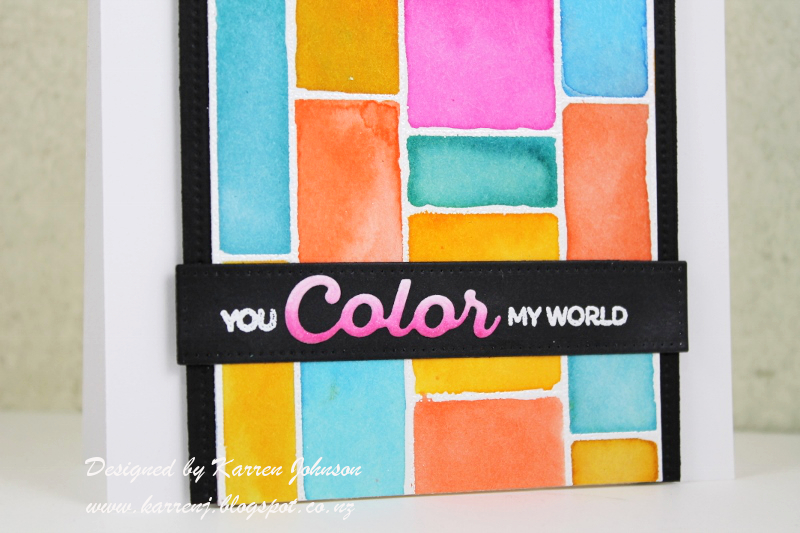 Nothing beats a rainbow and I'm so glad your our GD for this challenge! !